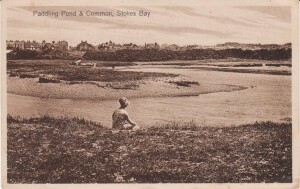 Most of Stokes Bay was for many years inundated by the sea. 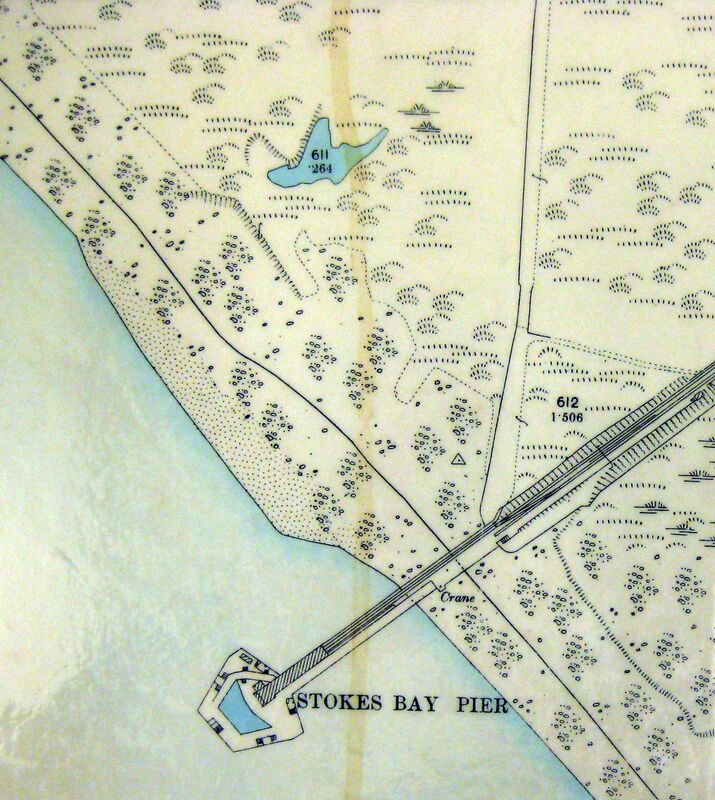 It was part of the great ‘Stoke Morass’ that ran from Browndown to Gilkicker Point, before those features were named. 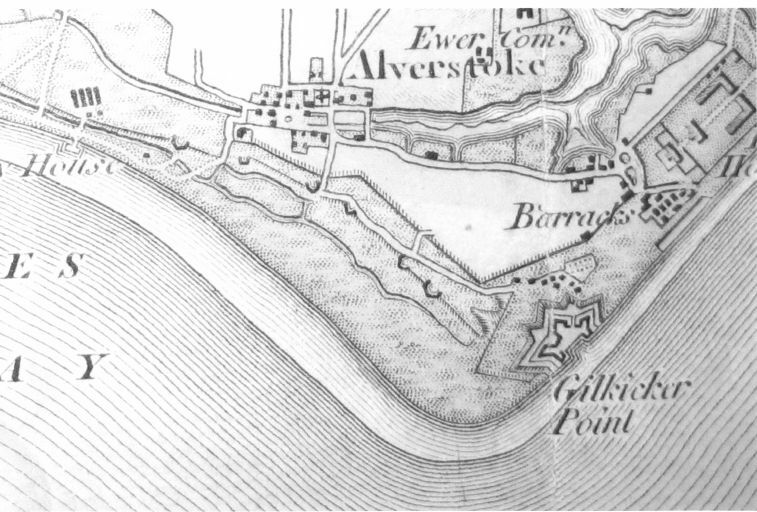 Over hundreds of years it gradually dried, leaving the river Alver to flow the length of the Bay exiting to the sea at Gilkicker. 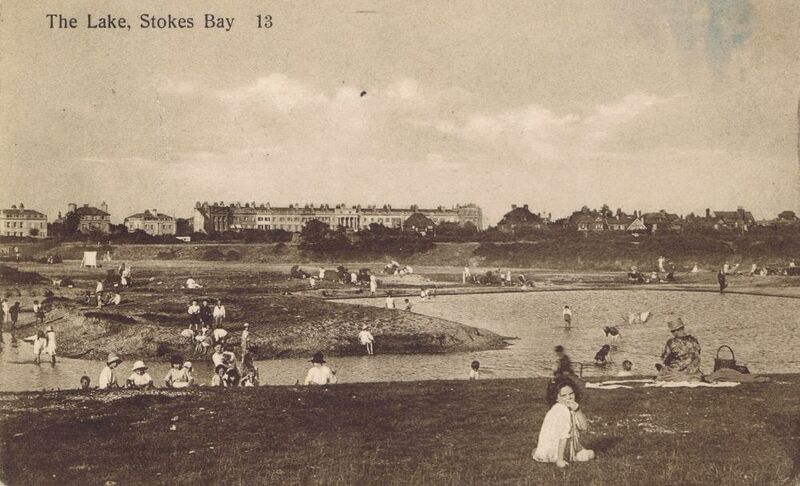 The river also changed its course, particularly when the Royal Engineers diverted it into Stoke Lake following complaints from the Vicar of Alverstoke about its state. 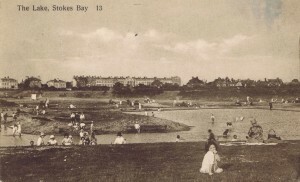 As a result a pool of water was left at the Bay close to Stokes bay pier and this became a popular paddling pool for Gosport residents and children in particular. 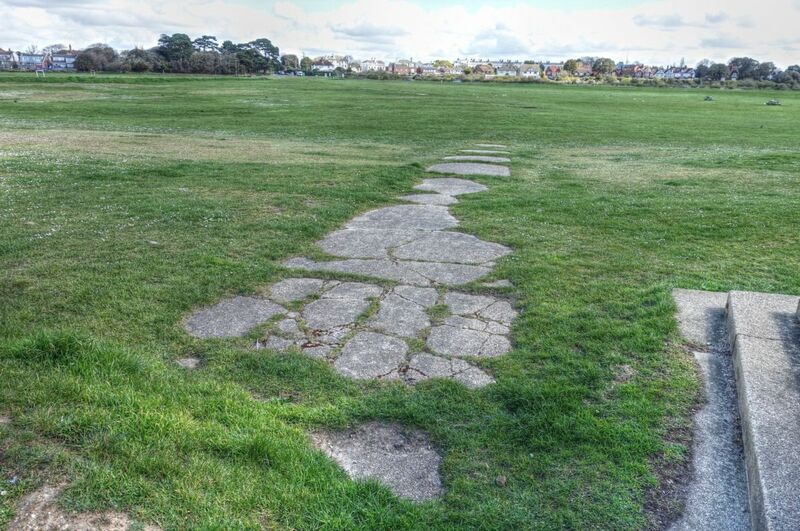 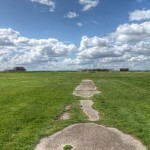 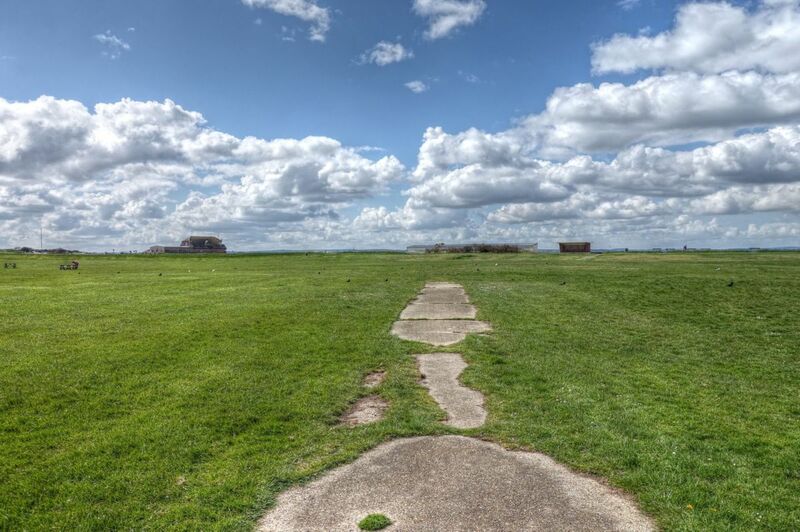 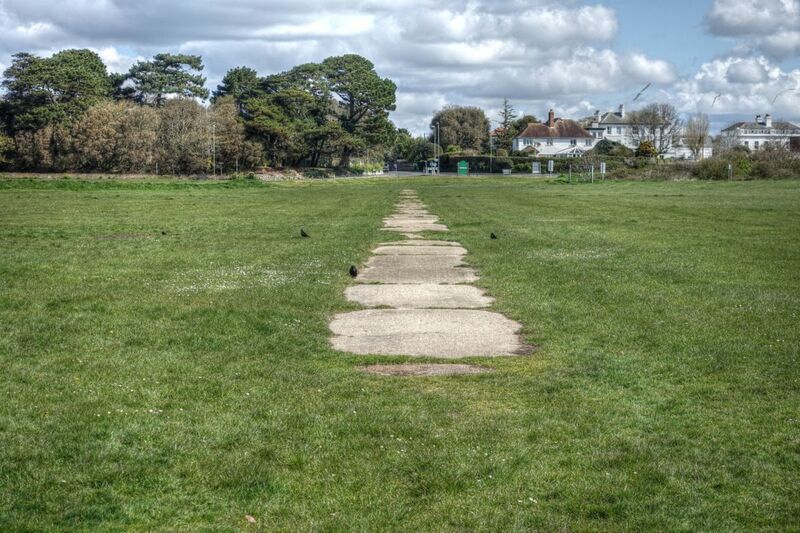 In the 1930s Gosport Borough Council built a concrete path to the pool. 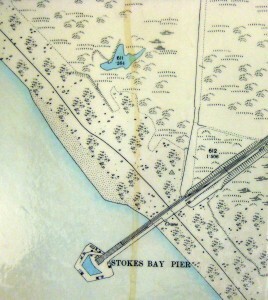 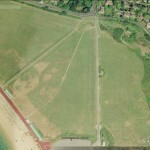 The path ran from the Anglesey Road corner with Stokes Bay Road, to the pond and on to the promenade. 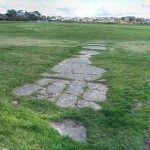 A path ran all the way round the pond and the pond itself had an island to one side. 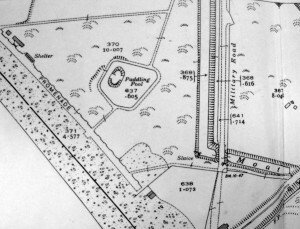 The pond was filled in 1961 because of problems with water purity and warnings from the Medical Officer of Health who had drawn attention to the unsatisfactory reports made on the bacteriological state of samples of water taken from the pond. 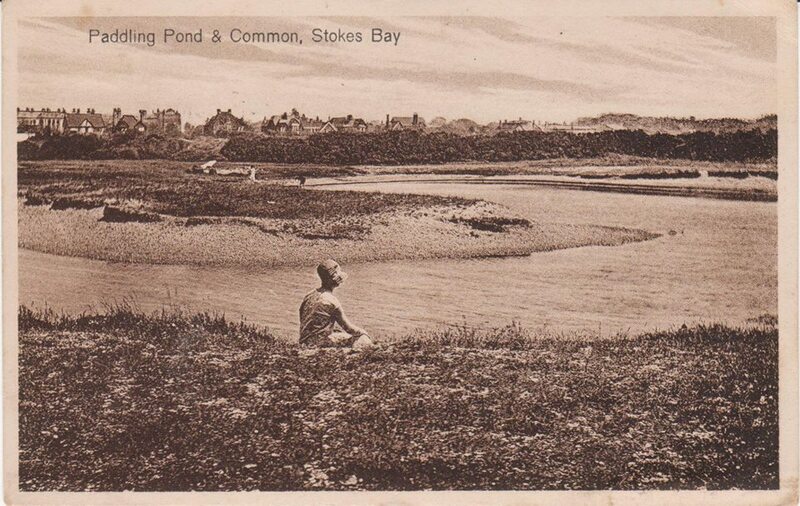 The council had tried to clean the pond but decided that it was too costly and the lack of use by the public led to them deciding to build a new paddling pool near to the Sailing Club. 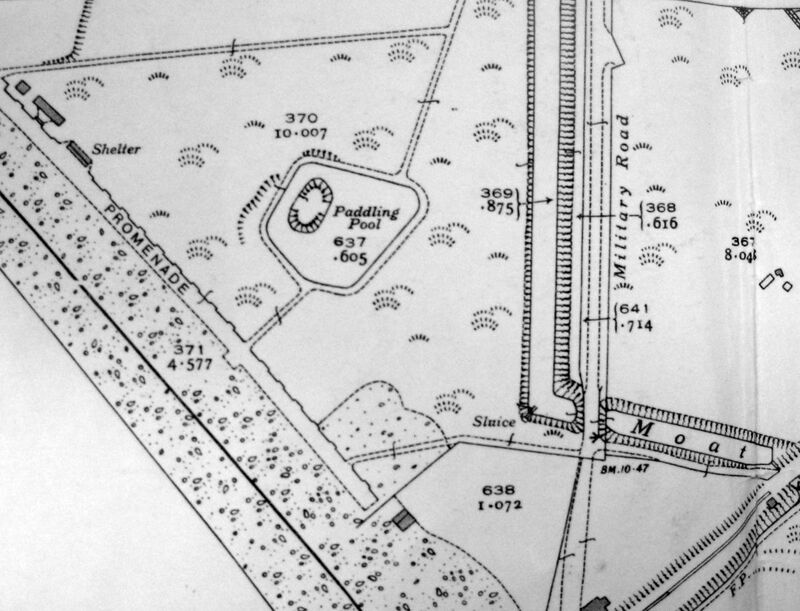 Sections of the path to the old pond now remain, enigmatic in their nature and mysteriously leading nowhere. 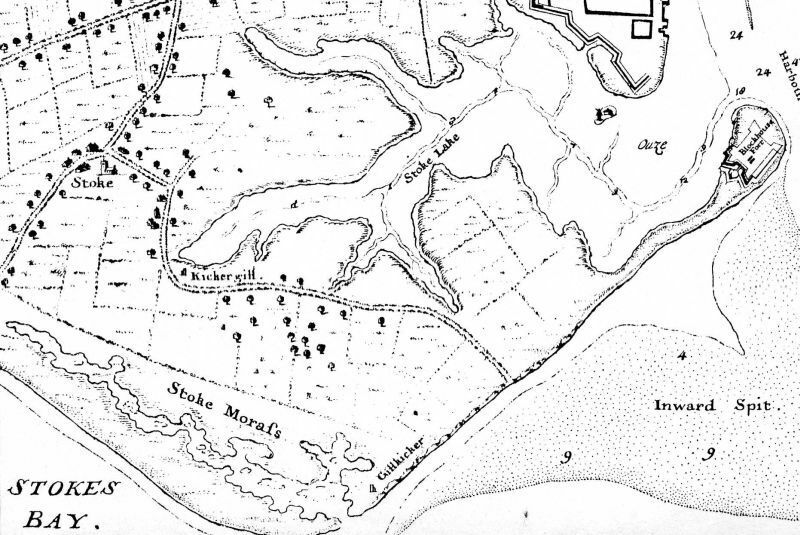 The area is, unsurprisingly, prone to flooding. 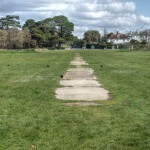 Path to the Pond in 2016 looking towards the beach. 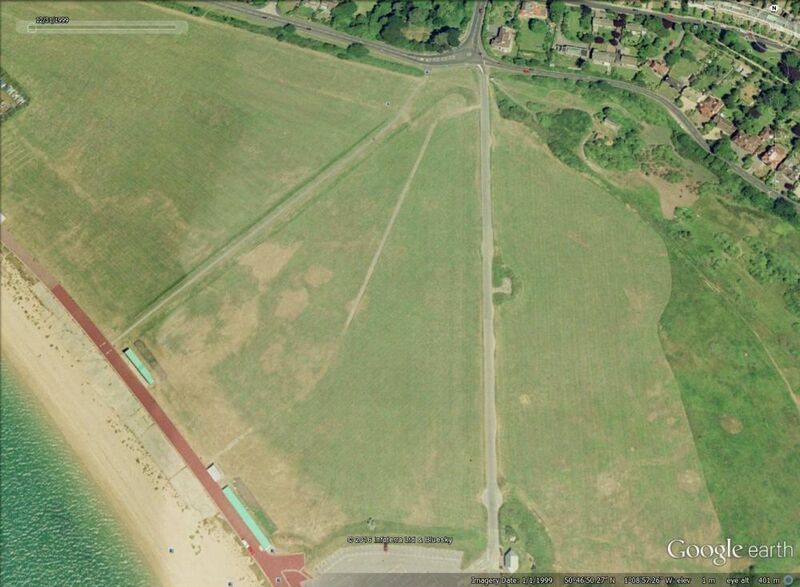 This Google Earth view of the path to the pond in 1999 shows that much of the path still survives beneath the grass.